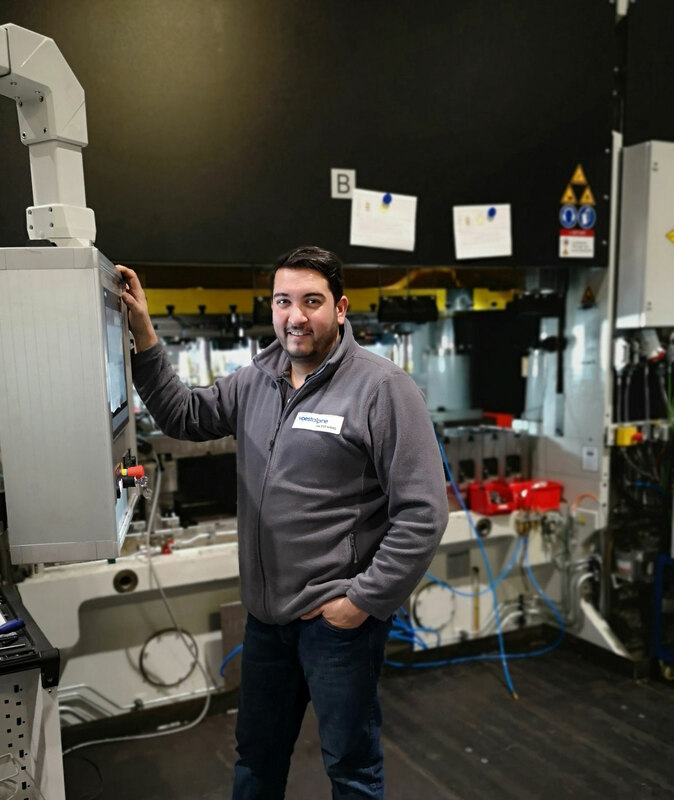 As the head of the compacore® team, car enthusiast Senad Sulejmanovski in Nagold ensures that the advanced components for electric motors produced by voestalpine Automotive Components roll off the production line according to schedule. Located between the Black Forest and Stuttgart, Nagold has everything that a flourishing small town with 20,000+ inhabitants needs: a chamber orchestra, a municipal gallery of modern art, and a whole range of secondary schools, both vocational and academic, as well as an academy run by a German textile retailer. A local record label has been producing hard-core music for decades, while hard-core is also a good description of the steel products being turned out by voestalpine Automotive Components. Here in Nagold the company operates a site where it manufactures products including innovation prize-winning compacore® lamination stacks which raise the efficiency of electric motors. It is Senad Suleymanovski’s task to ensure that this pioneering product leaves the production line according to schedule. As head of the compacore® team, the 34-year old is responsible for upholding the production sequence. "I assume that because of the strict emissions regulations and environmental zoning, a lot of people will soon be considering a shift to electric vehicles, whether scooters, cars, or bicycles." "It’s another good reason for me to watch one of these races soon, and see for myself how electric motors perform in motorsport."